I arrived at my college major more by chance than by design. Because I wasn’t sure what I wanted to do, I spent my freshman year keeping my options open while I searched for the path that best fit my interests. That uncertainty disappeared at the end of my freshman year when I took my first economics class. Immediately, I was attracted to the subject for its focus on the analysis of interactions between individuals, firms, markets, countries and the public sector. With economics, I felt I was finally gaining deep insights into the nature of the “real world.” From that point, I built my major to support my goal of becoming an economics professor. But what about you? 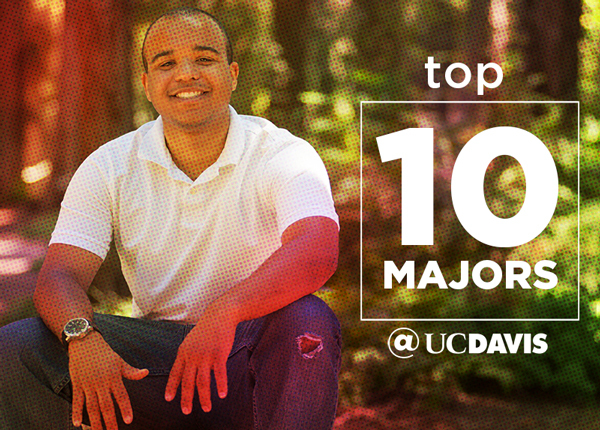 Given all the fantastic majors that are available at UC Davis, should you add economics to the list of majors you consider? Here, my answer is “Yes!” I am biased, but asking why a current student has chosen this major is worthwhile. While Julia is pursuing the data analytics track to realize her career goals, other students get support from the Department of Economics to use their economics degree as a means of entry to banking, business, management consulting, government or the law. To serve these diverse interests and career goals, the economics department also offers students the opportunity to select specialization tracks focused on behavior and strategy, economic history, international macro-finance, poverty and inequality, and policy. In addition, our department encourages students to meet with faculty or staff advisors to discuss how they may be better prepared for their intended career by taking courses that complement their economic studies. Here, the choices are many, starting with options to minor in another subject such as math, history, political science or accounting. The breadth of coursework available at UC Davis means economics majors have great opportunity to design their academic schedule with their precise interests and goals in mind. Recent career placements of UC Davis economics graduates illustrate our students’ success in a wide range of careers made possible by their degree. Some of our graduates have taken positions as analysts at financial companies like Morgan Stanley, and banking positions at Bank of America and JPMorgan Chase. Other graduates are employed as data analysts and data engineers at established corporations and startups in Silicon Valley, and as accountants at the Big 4 accounting firms (Deloitte and Touche, PriceWaterhouseCoopers, Ernst & Young, and KPMG). According to the 2015 UC Davis Survey of Recent Baccalaureate Recipients, more than half of surveyed economics alumni reported completing an internship while at UC Davis. These included internships in finance, banking, tax preparation and marketing at businesses like Morgan Stanley, River City Bank, CalSTRS and the IRS VITA Grant Program. Economics majors benefit from a strong job market. They can expect an earnings premium based on the employment opportunities the degree opens for its students. In fact, the starting salary for graduates with economics majors, according to Payscale.com, is $48,500 and rises to $94,900 at mid-career. An economics major not only provides students with a strong foundation for understanding the world through microeconomics, macroeconomics and data analysis, but also supports its graduates with skills valued by employers. If you want to take this path, meet with us to design your own plan of study in the rich UC Davis environment. Deborah Swenson is a professor of economics who teaches international economic relations and international trade. Her research interests include international trade, multinational firms and outsourcing.